How many additives did you consume today? 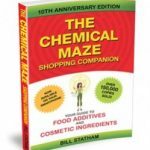 Every day we consume a range of chemical additives many of which are safe, some even health promoting. 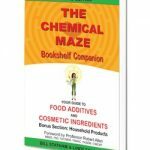 If one of the ingredients in your makeup item is water (and the chances of this are very high), then that product will need to also contain some sort of preservative. For some of us, it was a good news day when research indicated that a glass of red wine a day could be beneficial for health.